Texas is in the northern part of Zone 7. Plants must be able to withstand sustained temperatures of 0 degrees to be considered hardy in the Lubbock area. However, soil, moisture, humidity, heat, wind, and other conditions also affect the viability of individual plants. In Lubbock, plants that are "hardy to Zone 7" but might not thrive due to the summer heat. Click the button above for an Interactive USDA Gardening and Plant Hardiness Zone Map for Texas. You can enter your zipcode for very personalized information. Click the map to see the delicate tracery of wind flowing over the US. Surface wind data comes from the National Digital Forecast Database. These are near-term forecasts, revised once per hour. So what you're seeing is a living portrait! Click the button above to see how the hardiness zones have changed as a result of the general warming that has occurred from 1990 to 2006. Lubbock County is in USDA Zone 7. This is the most common designation. Lubbock County is in Texas Zone 2. You will see this designation on some of the AgriLife websites. There are several sources of information on the soils in Texas. The place to start is the USDA-Natural Resources Conservation Service (formerly the Soil Conservation Service). They publish "soil surveys" for each county, in cooperation with state agencies. 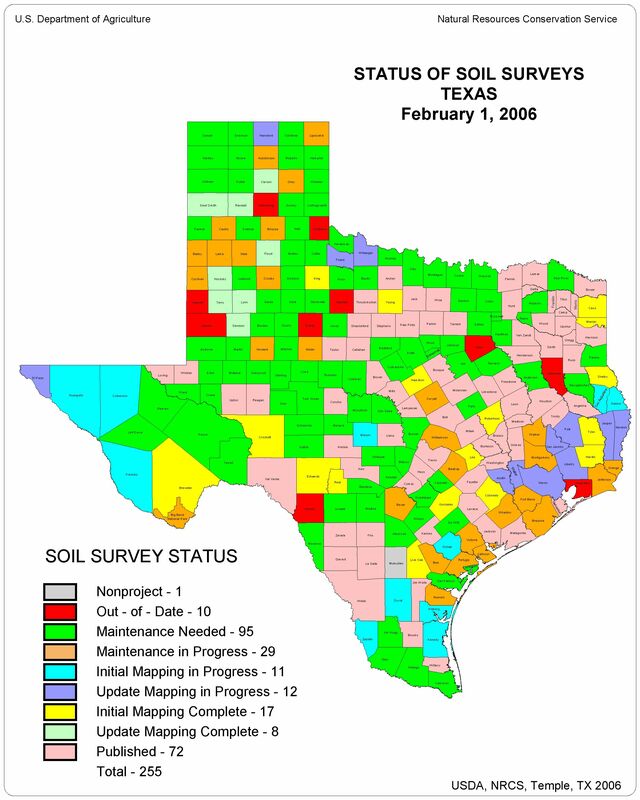 Check here for the status of soil surveys in Texas (you can also see it in map form). There are also soils data for GIS applications, found in the Soil Survey Geographic (SSURGO) Database, from the USDA-NRCS. 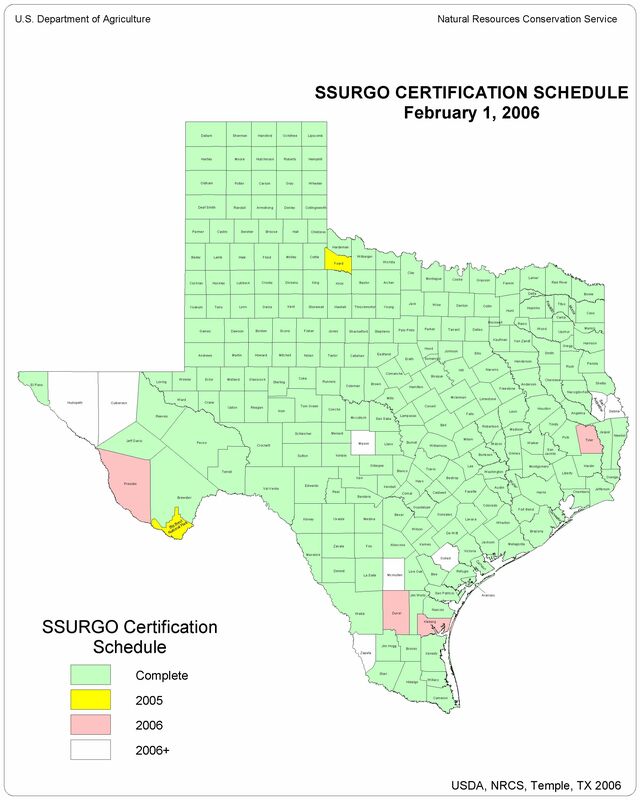 Click here for a map showing the certification schedule of SSURGO data in Texas. If interested in SSURGO data, please go to the National SSURGO Database. You can also find specific information on Texas soils in the Texas Soil Characterization Database, compiled by Texas A&M University's Soil & Crop Science Department. Maps and analytical information for over 100 soils can be found on the Soil Characterization Laboratory's web page.